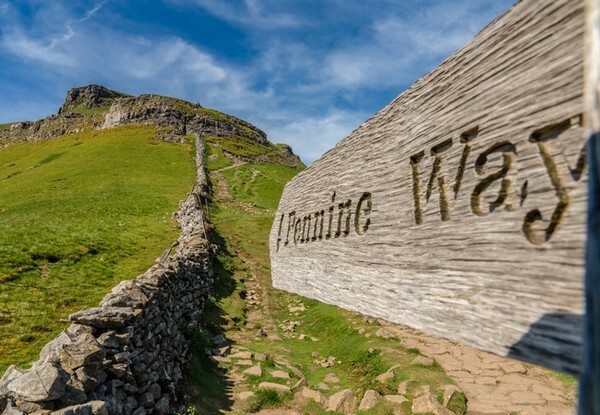 A guided day walk as part of a small group of usually no more than six people plus your guide, to climb the mountain known as Pen-y-ghent, and then Plover Hill, both in the Yorkshire Dales National Park. 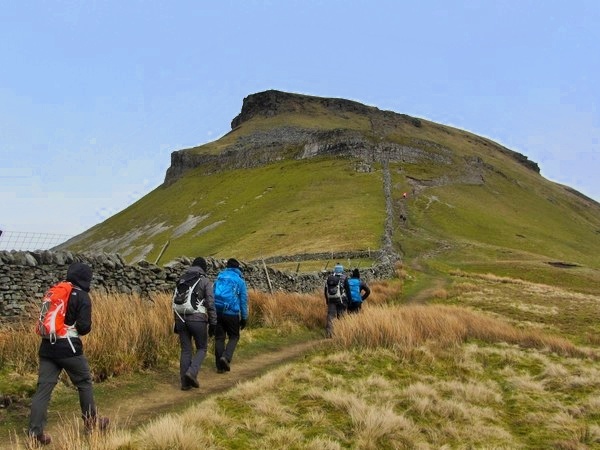 Pen-y-ghent is distinctly shaped, and is one of the mountains attempted as part of the 'Yorkshire 3 Peaks Challenge'. Starting from Horton-in-Ribblesdale we take a lane, then a track to gradually gain height before ascending steeply to the summit. If it is a clear day we'll enjoy stunning views of the surrounding mountains, including Ingleborough and Whernside. After a short rest, we'll continue along a broad grassy ridge to Plover Hill. Our descent route will take us past the phenomenon of Hull Pot - the largest natural hole in Britain! We meet at 9:30am to be ready to set off at 9:45am in the Yorkshire Dales National Park Authority car park in the village of Horton-in-Ribblesdale. It's next to the public toilets. There isn't a post code for the car park itself, but the cafe about 150 metres away is BD24 0HE. The car park is a pay and display and costs £4.50 per day. At the other end of the village, the Golden Lion Hotel often opens up the field behind for car parking which is a little cheaper, but allow 5 minutes to walk to the meeting place. Please avoid parking on the roadside in the village, as local residents need to be able to park there. Accessible by public transport if you travel on the Saturday. There is a railway station in Horton-in-Ribblesdale. If you would like to stay locally the night before or after this walk, the village of Horton-in-Ribblesdale is ideal, or the villages of Helwith Bridge, Austwick, or Clapham are all nearby, as is the town of Settle.